 Holy Trinity was established in 1923. At that time, the Charlotte Greeks were served intermittently by itinerant priests who performed liturgies and sacraments in rented civic halls and in Saint Peter’s Episcopal Church. Based on the memories of older parishioners, the first church services were at a building at the corner of 5th and North Tryon, on the 2nd floor, in the Chamber of Commerce auditorium on W. 4th St., and in a building on East Trade Street. The first church owned by the community was Westminster Presbyterian on South Boulevard. Early baptisms were held in homes using a washtub decorated with crepe paper. The current location of the Cathedral at 600 East Boulevard, occupying an entire city block, was purchased with the down payment made by the Marathon Chapter #2 Order of AHEPA. The Cathedral was built in 1954 and the Hellenic Center completed in 1967. Apostolic succession is the unbroken traceable line of ordination and doctrine from the Apostles to the current Church. This succession in the Orthodox Christian Church manifests itself through the unbroken succession of its bishops back to the apostles. The Orthodox Church, through apostolic succession, ensures the teachings of the Apostles and their immediate successors remain formally intact from generation to generation. Orthodox teachings today are the same as that of the first Apostles. Although their mode of expression has adapted over the centuries, the spiritual truths have not changed. Since the identity of the original Apostles is known, as is the content of their teachings, anyone teaching anything contrary is not transmitting the authentic truth.